The first book to present both classical and quantum-chemical approaches is written in a readily comprehensible and implemental style. It includes numerous practical examples of varying difficulty, with mathematical equations reduced to only those important for experimentalists. Describing solid state materials with computational and theoretical models is now an important tool for solid state chemists, making it possible to gain an insight into electronic and magnetic structure, as well as chemical bonding. In addition, chemists are now able to make a prediction about materials that are yet to be synthesized, such that a systematic and successful synthesis of new materials with specific properties and attributes is possible. This is the first book to present both classical practical approaches as well as practical quantum-chemical approaches, incorporating the many new methods developed over the last few years. Written especially for "non"-theoretical readers in a very comprehensible and readily implemental style, it includes numerous practical examples of varying degrees of difficulty. Similarly, the use of mathematical equations is reduced to a minimum, focusing only on that which is important for experimentalists. 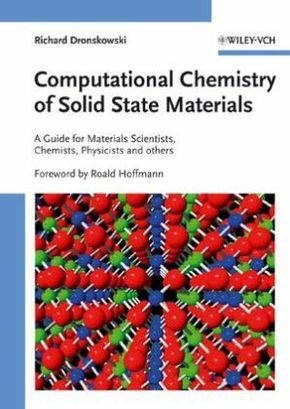 Backed by many extensive tables containing detailed data for direct use in the calculations, this is the ideal companion for theoretical and solid state chemists, physicochemists, crystallographers and materials scientists, wishing to improve their work in solid state research by using computational methods.